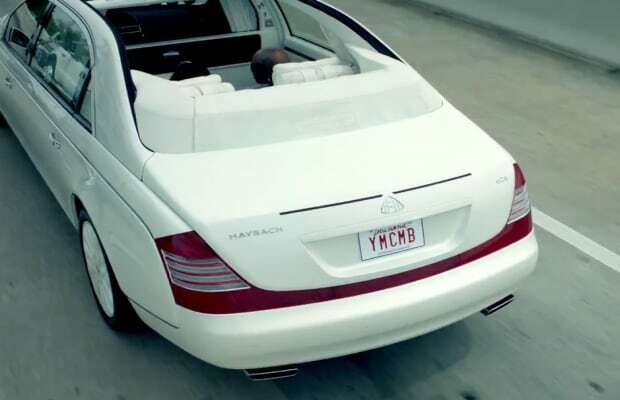 Complex Says: This is the dopest Maybach there ever was. Based on the 62S, it is a classic revival of the landaulet car body style that was popular in the '20s and '30s. “Riding in style” is an understatement if you're talking about this rolling palace, with accommodations such as a sliding soft roof that allows the back seat passengers to soak up the sun and get a breath of fresh air. The front seats are separated by a glass partition with an opacity that can even be electronically controlled. The chauffeur's area is finished in black leather, while the rear is done in all-white, with piano black and gold-flecked black granite inserts. Now that's classy. The Landaulet was unveiled at the Middle East International Auto Show in late November 2007 as a concept car. It is the highest-priced of the fleet, setting you back just more than $1 million. Maybach confirmed its limited production in 2008. Too bad the company will be ceasing all production by next year.